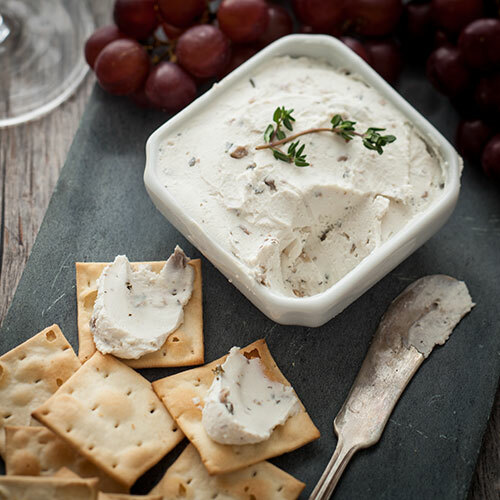 Combine cheese and Truffle Spread. Mix until uniform. Season to taste with pepper. Place in serving dish and garnish with thyme. Serve with crackers or French bread.